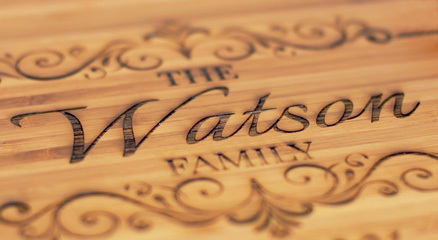 We're constantly adding to our collection of wedding favors. These burlap bags are perfect for any outdoor or rustic themed wedding. Make it personal by adding your names and wedding date to your favors. 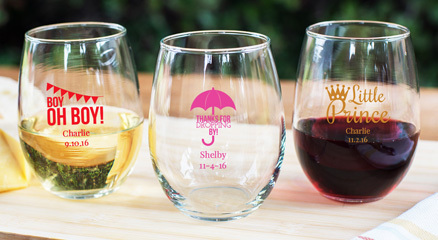 Personalize your wine glasses, tins, jars and more! Favor boxes from $0.47! Fill these bags, boxes and tins with tasty treats for your guests. You can never go wrong with candy favors. Our stemless wine glasses are very popular with Brides. Check out some of our other best sellers. 1) Experts. Our experts are professionally trained to help you choose exactly the right favor for you. There is no such thing as a cookie cutter event. Speak with an actual agent through Live Chat, phone or email and get immediate help from the experts. 2) Favor Finder. Our exclusive 'Favor Finder' tool takes thousands of overwhelming favor options down to just the options that match what you're looking for. Narrow your search down to price, color, season and event. 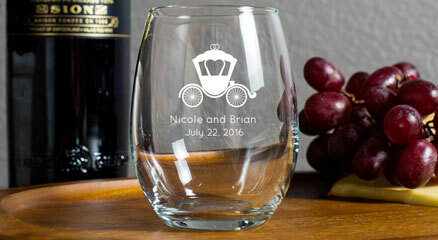 Now browse the perfect favors that suits your event! 3) No hassle return policy. We want you to be 100% satisfied with your purchase. If the favors you receive don't come as expected, no problem, return them for full refund. Did we mention we pay for the return shipping back to our warehouse? View our complete return policy here. So what's not to like? It's our job to make you feel comfortable with your purchase. Get shopping!